Being sleek and hair-free is a great feeling, and we can all appreciate running our hand over soft, smooth skin, but getting rid of unwanted body hair is a daunting tasking. With shaving, waxing and tweezing, you spend a lot of time struggling through a sometimes incredibly painful process to get hair-free and end up with nicks, razor burn, red, swollen skin and worse. Plus, these antiquated methods only provide very temporary results so that you may have stubble again the next day. And for those with hair in hard to reach places, it is an even bigger inconvenience because it is not a one-person job. 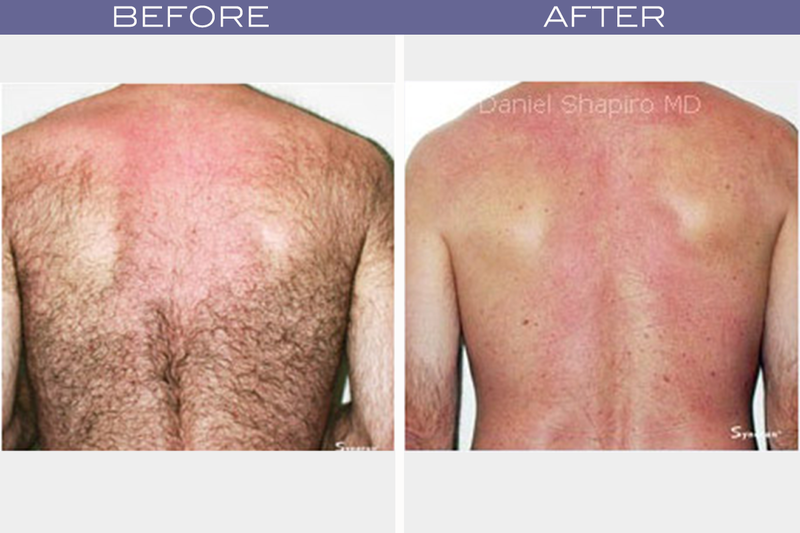 Now, with laser hair removal, it is possible to be hair-free without the tedious, painful, and often short-lived fixes. FDA-approved laser hair removal provides a fast, easy solution for permanent hair reduction, allowing you to look and feel your best without all the hassle of temporary hair removal techniques. The secret to laser hair removal is the clinically-proven technology that targets and destroys the cells responsible for hair growth without harming the surrounding skin. The laser sends a beam of highly concentrated light into the hair follicle, and when the pigment in the follicle absorbs the light, it damages the follicle enough to prevent future hair growth. The hair that was present in the damaged follicles will fall out leaving a smoother appearance and less future hair growth. Hair grows in multi-phase cycles and hair follicles that are in the anagen, or active growth phase, contain the most melanin, or pigment, which means that these are the follicles that will be able to absorb light energy from the laser. The hair follicles that are in the catagen or telogen growth phases are less pigmented and will not absorb light energy, preventing them from being affected by the treatment. Therefore, to maximize hair removal and obtain optimal results, patients will need to undergo approximately six to eight treatments scheduled 6-weeks apart to allow for all of the hair follicles to be in the active growth phase during a treatment session. It’s a simple approach to permanent hair reduction that’s fast, easy, and best of all, treatment sessions can take just minutes. So stop wasting time getting ready and spend more time doing things you enjoy! Call (480) 451-1700 today to schedule a laser hair removal session!